Haute Residence welcomes acclaimed realtor Kerryn Ellson to its exclusive real estate network. As a Haute Residence partner, Ellson represents the high-end market in Belleair, Clearwater and the surrounding Gulf Coast beaches in Florida to the publication’s thousands of readers and followers. 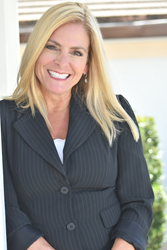 A professional Real Estate Advisor with Coastal Properties Group and Christie’s International Real Estate, Ellson specializes in marketing and selling luxury waterfront homes, estates and condominiums in Belleair, Clearwater Beach and the surrounding areas. Ellson was awarded the elite distinction of “Christie’s International Real Estate Luxury Specialist” following her participation in the second edition of the world’s leading luxury real estate network’s Top Agents Conference. Ellson’s keen eye for detail and proven track record of exceeding her clients’ expectations have earned her not only high praise and recognition, but also a loyal client base, built on referrals and repeat business. As part of her commitment to delivering unsurpassed personalized marketing services, she stays ahead of the curve when it comes to utilizing cutting edge technology, offering innovative solutions and providing constant communications that help her guide clients as they navigate the process of buying, selling and investing in Florida real estate. Ellson co-listed the Estate at Century Oaks, which sold for $11.1 Million and set the record for highest priced property ever sold in Pinellas County. She has been the #1 producing Real Estate Advisor since 2014.